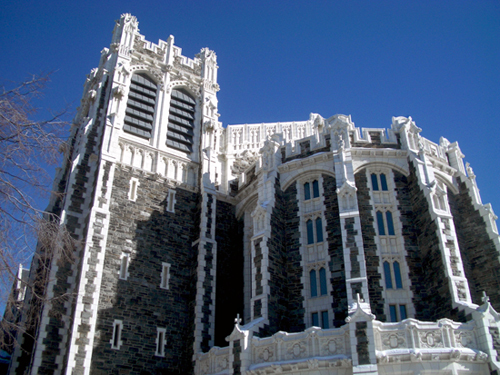 The 9th & 10th phases of the award-winning historic reconstruction of Shepard Hall at the City College of New York has officially begun. The project, which includes the replacement of nearly 8,000 pieces of failing terra cotta sculpture ornament with new glass-fiber reinforced concrete replacement units and a new main entrance to the building, is expected to be complete by May 2011. Stay tuned for regular construction progress updates from the field.